Another victim of a fouled propeller...Everything that could go wrong went wrong - a one-month saga and still counting in both time and money. Speaking of expenses, in the "Jakatar World" the year is almost over and it's time to compare sailboat assets and liabilities. A 500-mile round trip to the Algarve. 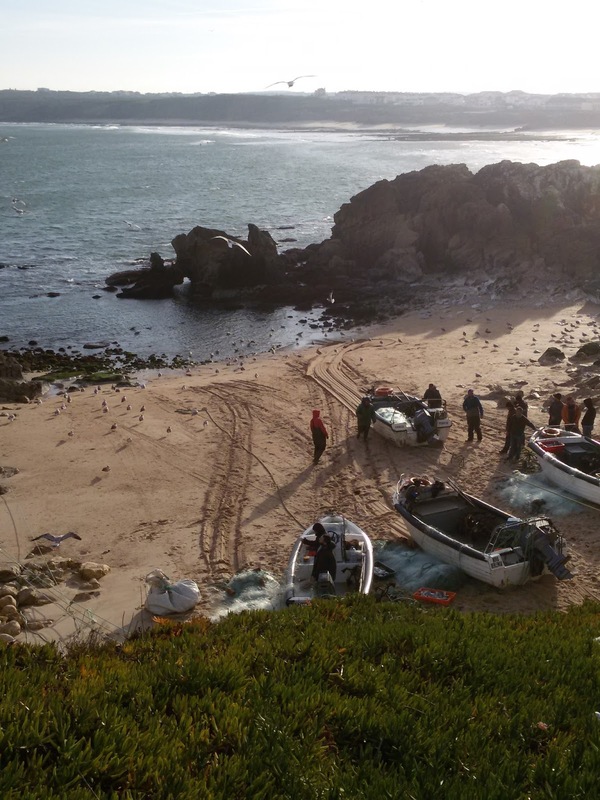 I departed from Peniche on July 26, returned at the end of August and visited Cascais, Sines, Sagres, Alvor, Albufeira and Culatra. Zero days at marinas, always at anchor, always solo sailing. During the rest of the year, on average I spent one full day at the boat per week, either translating, just messing around or both. * Shipping and customs doubled the pump's retail price. If I didn't have the boat, I'd most likely spend the money on crap I don't need, or even want. It's a reasonable addiction, and I'm sticking to it. 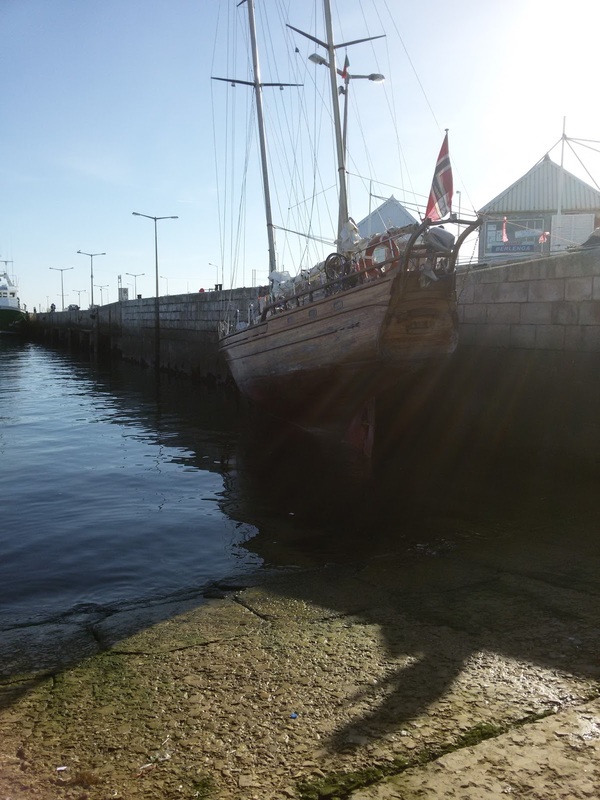 The Dutch Sailor, who is in town, came by the other day, looked up at the mast, frowned at the peeling paint and said: "That sure gives you sore eyes." He's right, Jakatar has the ugliest mast I've ever seen, but I got used to it. 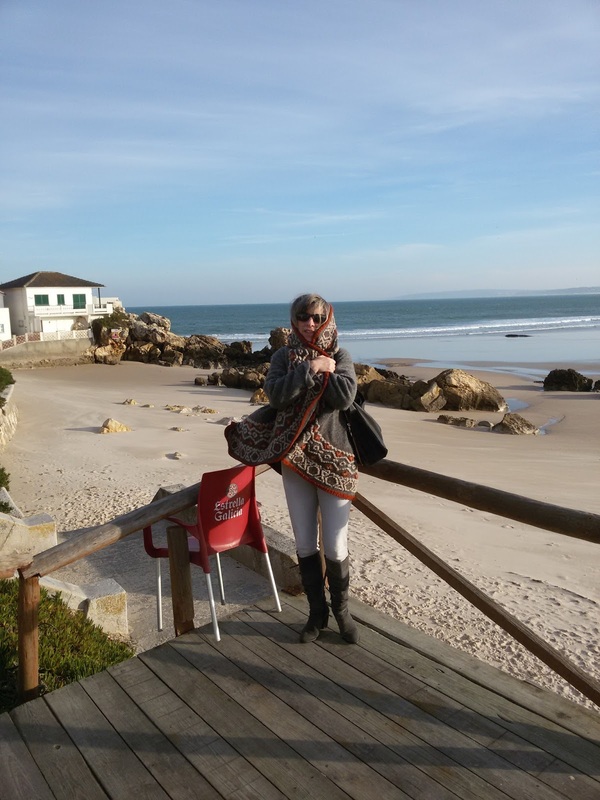 The air has been windy and cool and the ocean rough and wet; instead of going fishing I went for a drive to Baleal with Ana. Whenever I get my motorcycle servised, I tell the guy to make sure it doesnt leak oil (eg one drop a day) because it accumulates a nastey stain on the sidewalk. His answer is "dont look down"! Tell the Dutch guy to save his eyes and look ovre the horizon! That's not a bad budget. But the customs and shiping expence is a pisser! The Dutch Sailor was merely agreeing with my own observation. Besides, I don't mind having the ugliest mast in town...probably in Europe!!! Now, an oil drip on the sidewalk is a whole different game. The Dutch Sailor is an avid biker and probably has a stronger opinion about oily sidewalks.